A little-known (and slightly embarrassing) fact about me is that after studying abroad in Granada for four months as a student, I was convinced Spanish food was quite lacking! I was living with a host mom who cooked frozen foods and rice salads. I knew that this didn’t represent the way all Spanish people cooked, but she somehow convinced me that Spaniards didn’t eat much meat (we had chicken once throughout my stay). So I survived on free tapas and kebabs. While this may sound glorious to some, the reality wasn’t so great. Granada is famous for including a “free” tapa with every drink, but they generally are not top quality, (and definitely not very nutritious!). And kebabs, as delightful as they may be, can sometimes make you feel like you’ve swallowed a large brick. Simply put, I had no idea where to eat in Granada (or what to order!). One is delicious, two… not so much! But, luckily, only a few years later, I became borderline obsessive about finding the best places to eat when I traveled. And Granada was no exception. Since my time studying abroad, I’ve been back to Granada over 20 times, each visit eager to make the most of each and every meal. Here are my tried and true recommendations– if you have other suggestions, please add them to my list in the comments! These are some of my personal favorite places to eat in Granada, which I update each time I visit. Many were tested during research for our Granada tapas tours! In Granada tapas are “free”. I put free in quotes because many argue that their price is included in the elevated cost of your beverage– either way, they come with each and every drink (alcoholic or not). 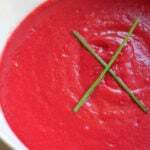 They are generally small dishes and get better and better every round. This entices people to stay put instead of going on a tapas crawl! Prices in Granada range greatly, from under two euros for a cheap glass of house wine, to over four euros for a glass of something special. Your free tapa can be anything as simple as cheese, to elaborate stews and rice dishes. Look around first as some tapas bars will let you choose your tapa! So look at what others are being served and don’t be shy about asking. Worst case scenario you can’t choose and will just have to stay for another drink or two! Don’t hesitate to order portions. 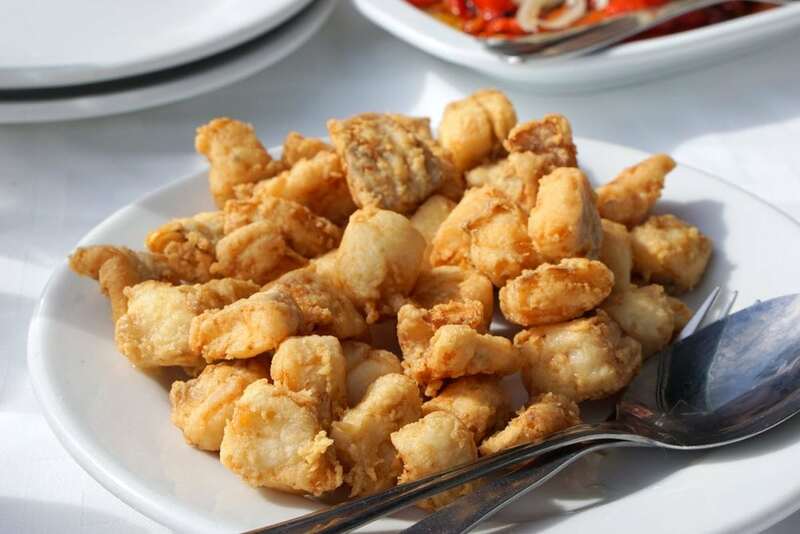 It’s easy to get caught up in the idea of the “free” tapas– but if you are hungry and want some say in the matter, order a half ración or full ración to share. These plates will ensure you don’t leave hungry. 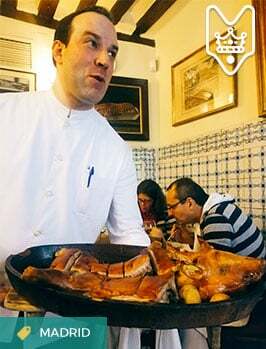 Tapas and foodie secrets with an expert: Many people think of Granada and “free tapas” and little else. They miss the city’s incredibly complex gastronomic traditions and history (do you know why there are so many tea shops, for example?). I am biased, but really urge you to take a food tour in Granada! It’s the best way to see the local food culture come to life, and visit stops that are easy to miss. In the hands of an expert local guide, you’ll meet some of the chefs and shopkeepers behind the food, and learn their fascinating stories. 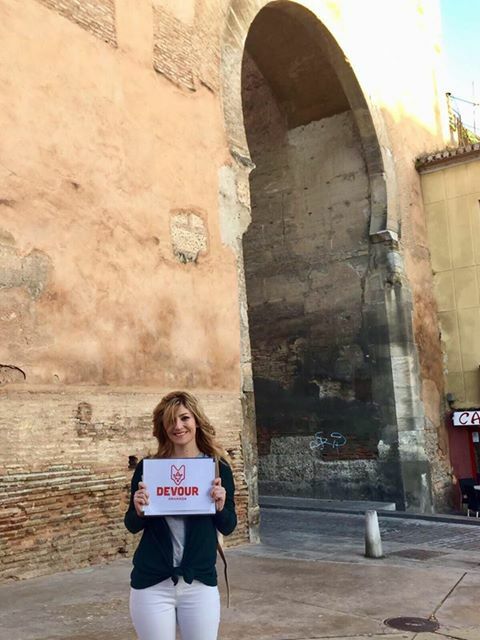 In Granada, Devour Tours offers our best-selling Hidden Granada Food & Tapas Adventure. Check us out! Here are some of the most typical foods of Granada, which I consider among this city’s most incredible bites. Many of these are featured on our tours! 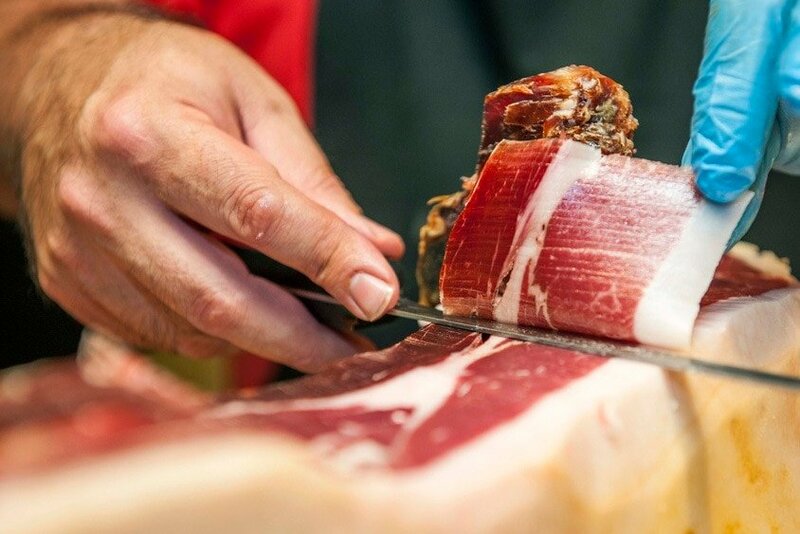 Granada’s beautiful Alpujarras mountains are home to some of the region’s best ham. This is not the Iberian Acorn Fed Ham, but rather a ham called Jamón de Trevelez. This ham is from a white hooved pig and is air dried in small ham factories that dot the region. The actual village of Trevelez is the highest in all of mainland Spain! 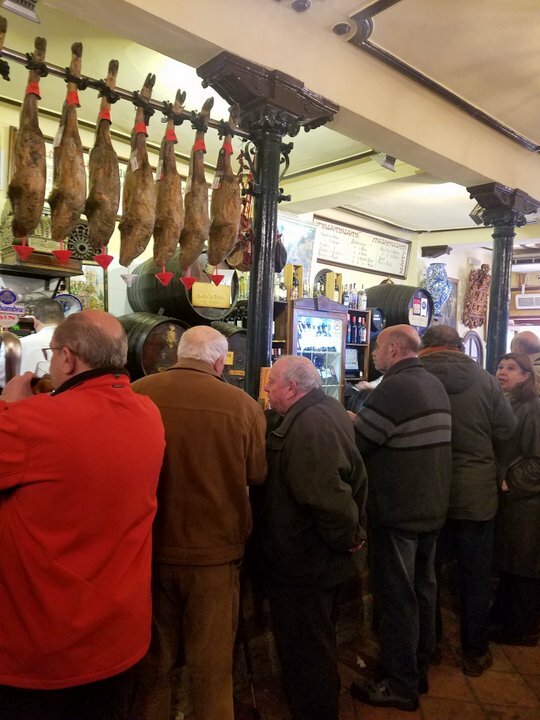 You can find ham on just about everything in Granada (if you are a vegetarian, start practicing “sin jamón, por favor!”. 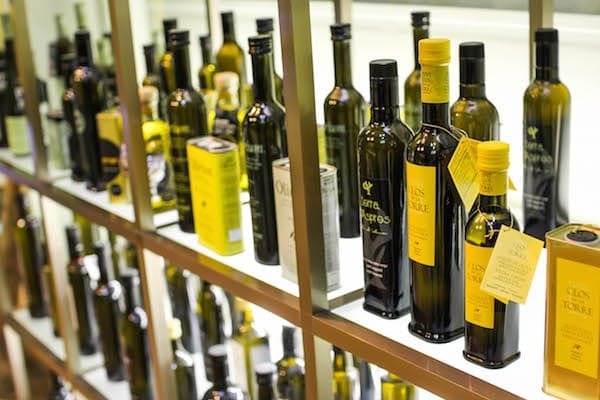 While the Andalusian regions of Jaén and Cordoba may be the most famous for olive oil, Granada can definitely hold its own and some wonderful producers are found less than an hour from the city. Make sure the restaurants you are visiting have aceite de oliva virgin extra for your salad and bread! 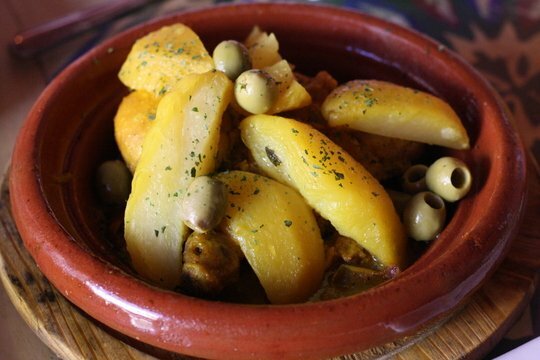 Granada is one of the best places in Spain to eat authentic Moroccan dishes (some of which actually originated in Granada– not Morocco– when it was still Al-Andalus). See my recommendations below to taste some of the city’s best. 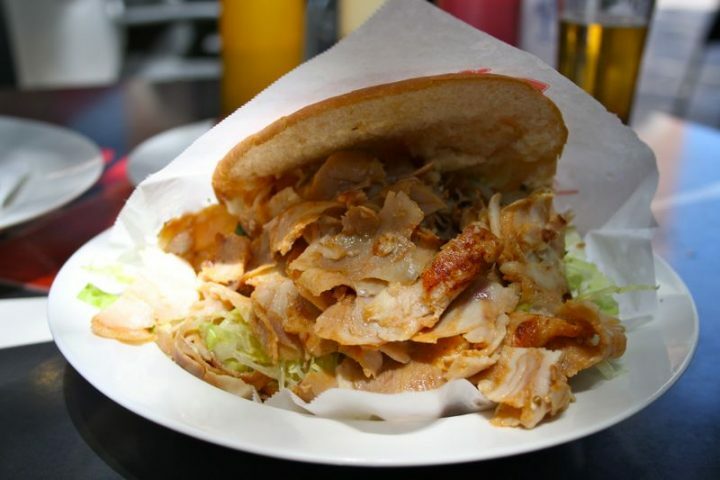 As a student city, the kebab scene is thriving in Granada. As I said earlier, I survived for four months on free tapas and kebabs! The best kebabs in Spain come from Granada (in my opinion!). Arab-influenced sweets in Granada, Spain. 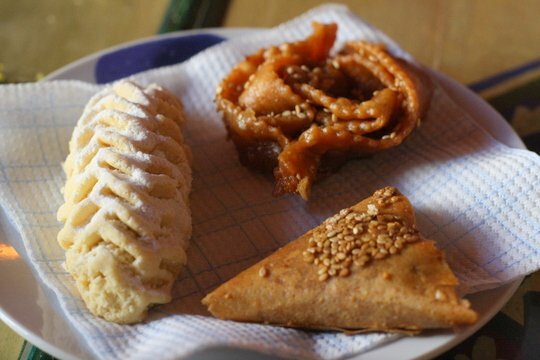 In Granada’s tea shops and kebab windows, you’ll also find dulces árabes (like baklava and other pastries made of phyllo dough, nuts and covered in honey or sugar syrup). When I was a student in Granada I went out nearly every night (my classes the next day didn’t start until 3pm!). But it wasn’t always for a beer or wine– often I visited a tea shop for a pot of steaming hot tea. My favorites were the classic mint tea or the milky spiced té Pakistani (which reminds me of Chai). 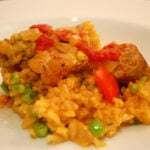 Migas– not from this region but close! 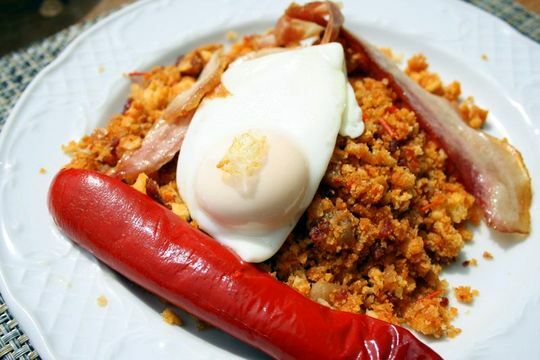 Made using stale bread as the body of the dish (kind of like American stuffing), the Granada version of migas (common to the Alpujarras area) also includes garlic and is usually topped with a grilled green pepper and local sausages. Another traditional dish from the mountains consists of a hearty combination: blood sausage (morcilla), pork loin (lomo), sausage (longaniza), cured ham (jamón), potatoes (papas a lo pobre), and a fried egg. 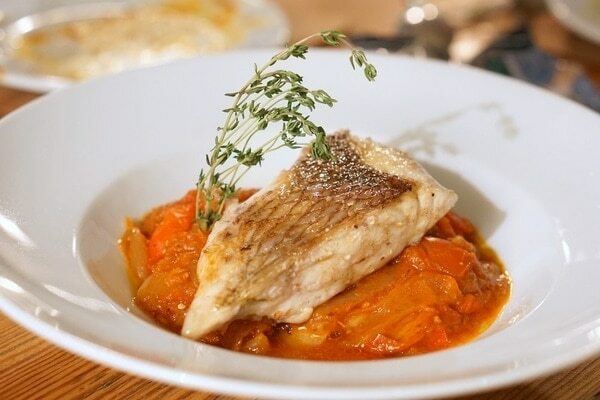 This is a dish you need to be hungry to eat– but it’s so satisfying! 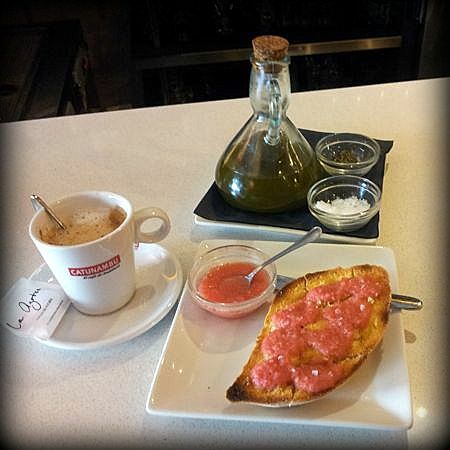 A well-rounded Spanish breakfast: Toast with olive oil, crushed tomatoes, and sea salt with a café con leche. 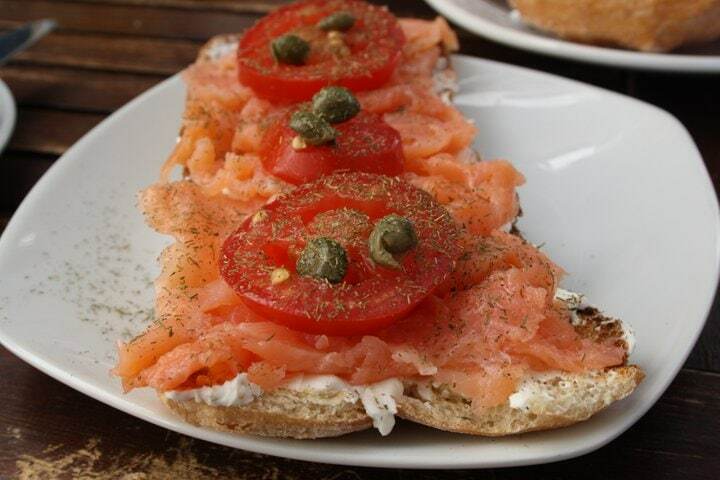 While common throughout Spain, the proximity of delicious tomatoes makes Granada a great place to enjoy your breakfast toast with freshly grated tomato and extra virgin olive oil. Some places also do homemade jams– worth asking! 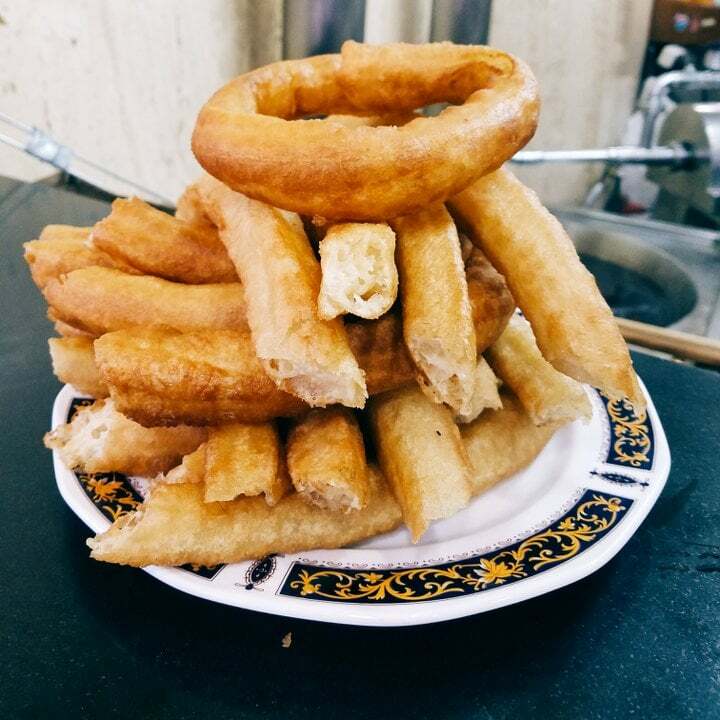 I adore the fluffy style of churros that are common to Granada. Perfect dipped in sugar (I prefer this to the thick mugs of chocolate), you can find them in Granada’s churros cafés in the morning (from about 8am to noon) and afternoons (about 5pm to 8pm). A really common and delicious tapa in Granada is broad beans and ham. Simple– but totally delicious. I’d never really eaten broad beans before moving to Spain, but now I’m hooked! The word meatball comes from Arabic (we know this because it starts with “al”). 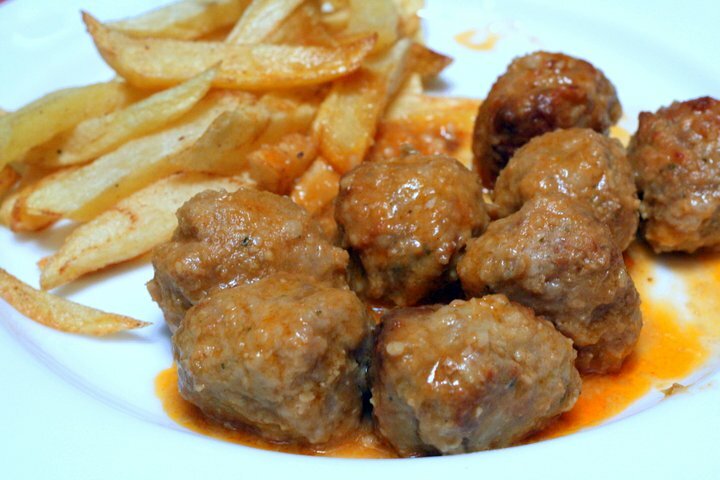 I have a feeling that meatballs have been a part of Granada’s cuisine for many years. Luckily we can still find delicious meatballs at many local tapas bars. Granada’s signature pastry (with origins in Al-Andalus as well), these homemade delights are a must-try. They consist of a delicate sponge cake soaked in milk and spices, which is wrapped around sweet custard. They’re perfect with coffee. 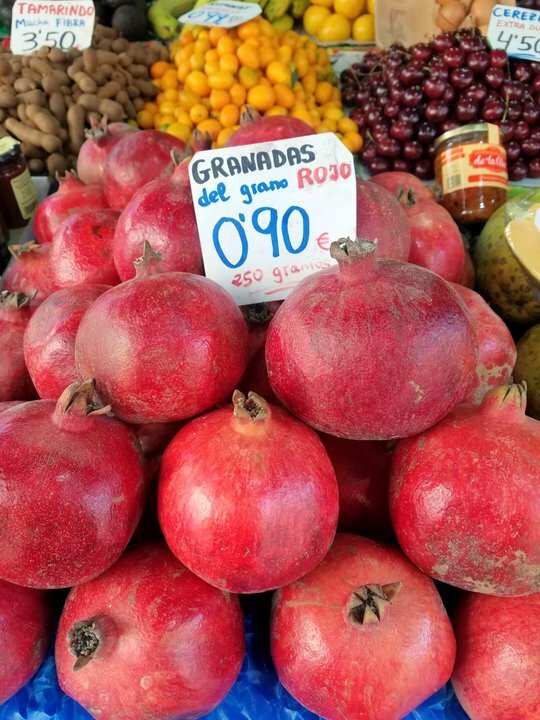 If you are lucky to visit when pomegranates are in season (fall/winter) don’t hesitate to taste the namesake fruit of this city! Other delicious winter fruits are persimmon (kaki) and custard apple (cherimoya). This lovely little bar/restaurant is around the corner from the main streets and really worth a visit. Their wine list is decent and reasonably priced, and their tapas are made using top ingredients. 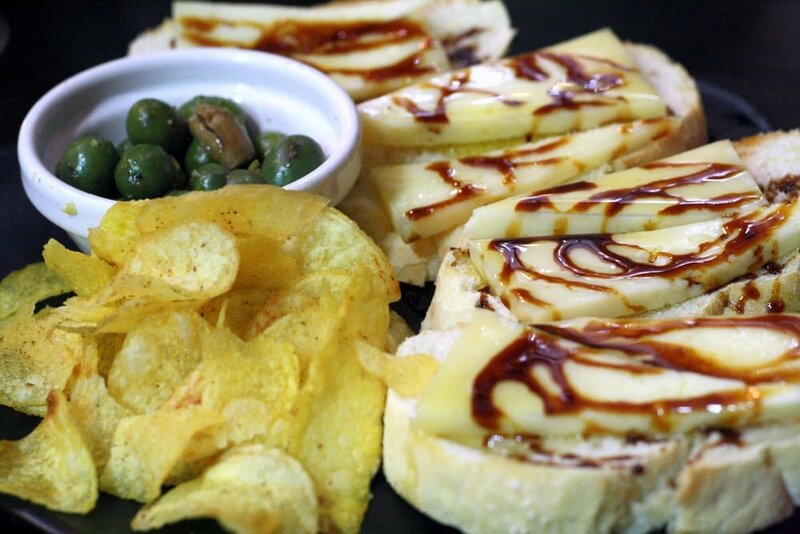 When we saw a slice of cheese on bread as our first tapa we were a bit disappointed– but then it turned out to be the most delicious bite of cheese we’d had in a long time! Free cheese tapas in Granada, Spain. 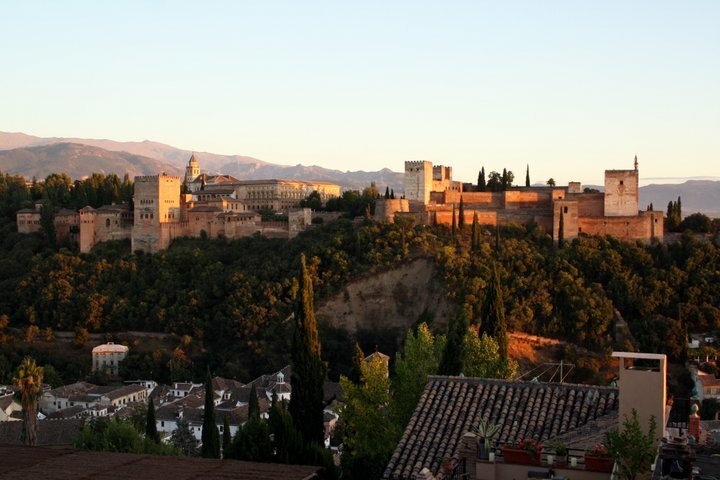 Everyone who visits Granada has to visit the gorgeous Mirador de San Nicolás for one of the best views of the Alhambra. This ice cream shop is right off of the square and sells homemade ice creams, perfect to enjoy while watching the sunset! The gorgeous view from San Nicolas. Pastelería López-Mezquita is one of the city’s most historic pastry shops and a great place to taste the Granada specialty, a pionono. We visit and learn their story on our Hidden Granada Food & Tapas Adventure! Famous for their Italian-style gelato, Los Italianos is considered the best ice cream in Granada by locals. Try their local flavors, like pionono! A tiny hidden gem with an impressive amount of wines by the glass. Try something local (Granada makes some great wines!) or learn about their wide selection on a tapas and wine tour. 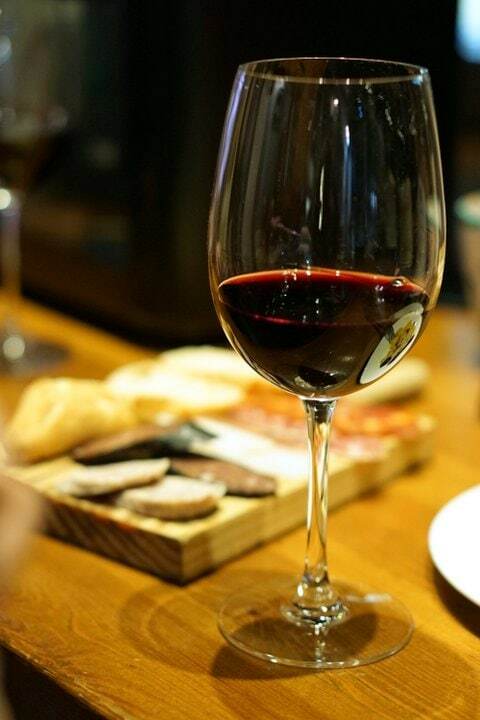 Wine and tapas– is there anything better? One of the most authentic “old-man bars” in Granada (go in at aperitif time and you’ll understand why we use that term! ), this is a must-visit for a drink while in town. You have all the standards of an old-fashioned Spanish bar, grumpy waiters and enormous wine barrels included. I like to stop here for a drink only (as the tapas leave a lot to be desired). The most famous fried fish tapas bar in town, cram in and enjoy a caña (small beer) with a generous free tapa. It doesn’t get much better than this! Francisco shares his passion for local cuisine at his multi-course menu dining experiences. This is a culinary experience (not a restaurant) and is best for people without food restrictions and an open mind. You won’t be disappointed, reservations are a must! My favorite restaurant for authentic Moroccan food in Granada, this place started out as a tiny hole-in-the-wall run by a husband and wife team, and has now moved down the street to a slightly larger space. 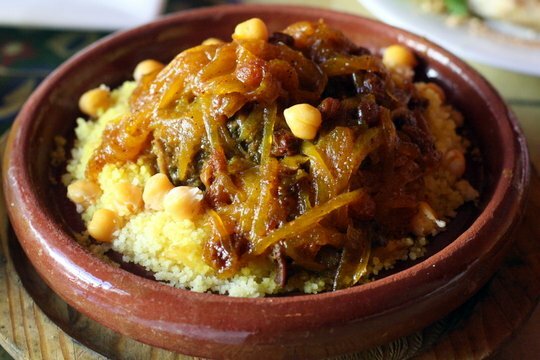 Go for a tea, cous cous, and tagine– and don’t miss the pastela. 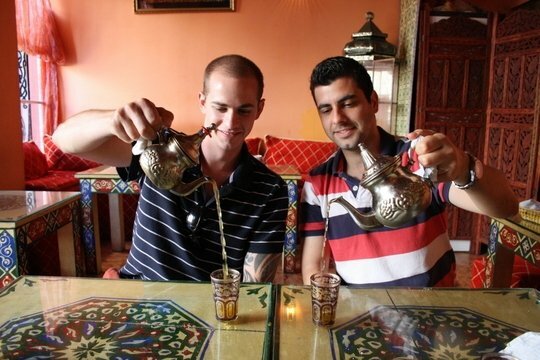 Learn all about Granada’s connection to Moroccan food on our cultural food tour! One of the most famous tapas bars in town, here you will receive a Moroccan inspired free tapa with your drink. I think the quality is hit or miss, but it is definitely fun when you need a break from the jamón! 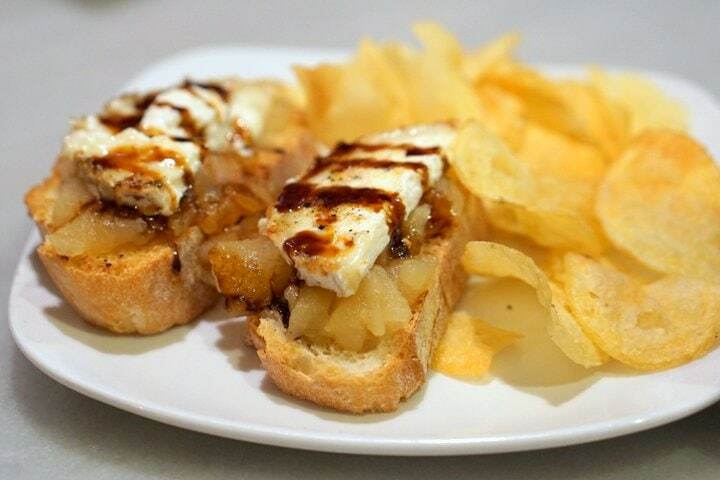 One of the most-loved tapas bars by locals, this is a great place to enjoy a glass of wine and a tapa (or two!). They also have great homemade desserts, which is a rarity in Granada! One of my favorite places in town for freshly fried churros, this bar sits at one corner of Granada’s gorgeous Plaza Bib-Rambla. It’s definitely worth a visit in the morning in the height of the breakfast rush to see the local way of life. 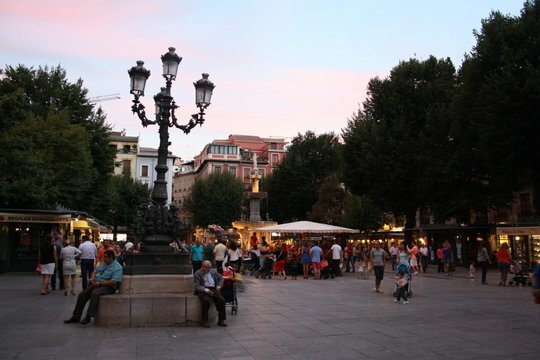 Granada’s gorgeous Bib Rambla plaza. Hidden away right off of the city center, this tiny wine bar is perfect for a night of tapas and wine. 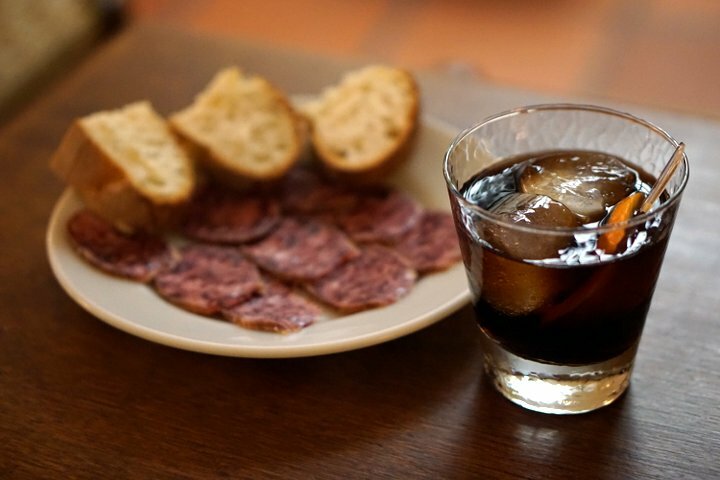 Go early to get valuable bar space, and stick around since the tapas definitely improve each round. I’m not an expert in the tapas bars and restaurants of the Albaicin area, but I do love Café 4 Gatos for breakfast. Their toasts are enormous and delicious, and they have options you don’t find at more traditional places. 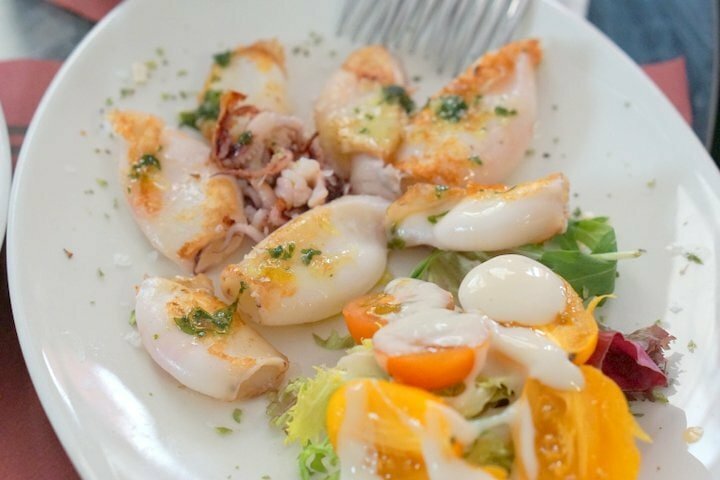 For beautifully presented food in a quiet corner of the Albaicin, you can’t go wrong at El Trillo. This is not a tapas bar, but rather a restaurant. I recommend dining in the pretty courtyard– make a reservation! One of my favorite tapas bars in Granada, this small place is located near the university and is worth finding. 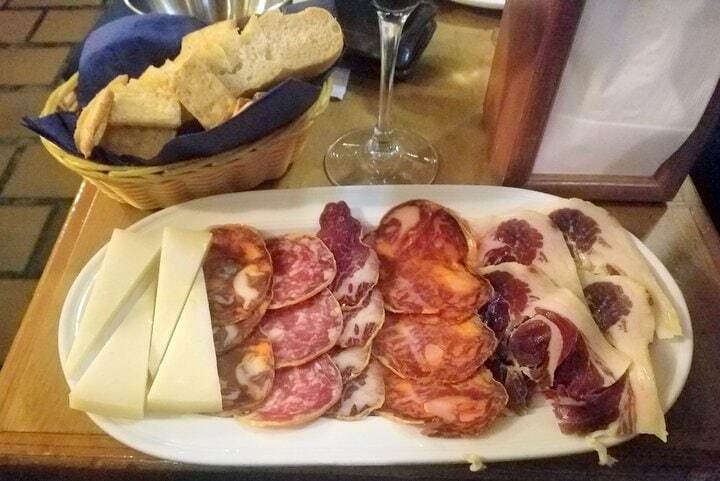 We usually order a few raciones to share, and also enjoy the tapas with our wine. They have a large selection of wines and are happy to help you decide. This shop/tapas bar is a bit odd– you have to sneak under the bar to get to the back room! The front of the place is a small deli, specializing in gourmet products. If you sit in the back room you can enjoy cured meats and cheeses with wine or vermouth. Vermouth and tapas at La Trastienda. Some restaurants add a bread and cutlery charge to the bill, which ranges between 1€ or less per table, to 2€ per person, depending on the place. If you don’t want bread brought to the table, specify sin pan por favor, though unfortunately sometimes you’ll still be charged. Feel free to complain if this is the case, though the easiest thing to do is to eat like a Spaniard and enjoy your bread! You aren’t required to tip in Granada, but rounding up the bill and leaving up to 10% for excellent service is definitely appreciated (I always tip my servers). Waiters work hard and earn a very low monthly wage. BYOT– bring you own toilet paper! Granada’s best tapas bars get busy and the bathrooms often lack toilet paper– especially in the ladies rooms. Go prepared with a pack of tissues to be safe. Learn to love the afternoon merienda. From around 5:30 to 7:30 you’ll see locals having a drink and a bite to eat in local cafés churros bars, and pastry shops, instead of having dessert right after a meal. And remember– an afternoon snack at 7:30 pm means dinner is late! Do as the locals and don’t dine before 9:30 pm! My opinion of Granada has definitely changed over the years! I went from thinking that the food was pretty awful, to loving my visits here– for the food! While you do have to search out the good tapas places, when you find them the value for money is great, and the products are excellent. 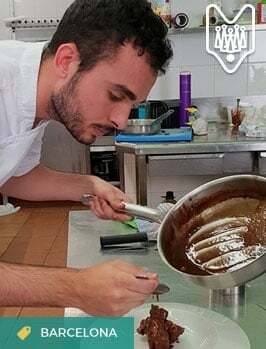 As we’ve planned our food tours here over the past months, I’ve been so excited to share the culinary history of this incredible city (Andalusian cuisine fascinates me) and mix these stories and recipes into our tours. Join us on our hidden food tour of Granada! If you are planning to visit Granada soon, we’d love to welcome you on one of our Granada food tours. Featuring much more than tapas (but visiting a couple of the city’s best tapas bars too!) this tour is about three hours of food, history, culture and local insight. 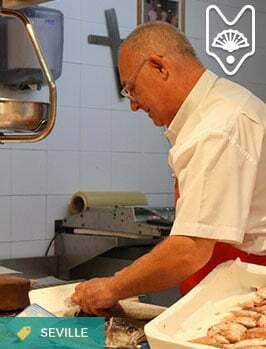 You’ll try 10+ different foods at a variety of traditional family-run establishments, and between bites, you will learn all about Granada’s long history and the Andalusian culinary identity. The tour is truly fantastic, and was created, tried and tested by born-and-bred Granadinos too! You can reserve spots online here: book Granada food tour. And if you have more tips for where to eat in Granada, please leave them in the comments! And if you’ve already been– where (and what!) did you try? A great article Lauren… and some new places to add to my list next time we visit. Do also give “Bodega Los Tintos” a try. Great wines and a super tapas menu that you can choose from. The callos is to die for as is the jamon with a quail’s egg on toast. It’s located at Calle de San Isidro… number 24. Ohhh I will definitely try this next time! Added to the list– thanks Elle! This is quite thorough, it might be worth revisiting next time I return. Last time I appreciated the free tapas with every beer! Pingback: Visiting Barcelona’s La Boqueria Market -- A MUST for Foodies in Barcelona! I’ll definitely be checking out some of these places next month when I spend four nights in Granada. 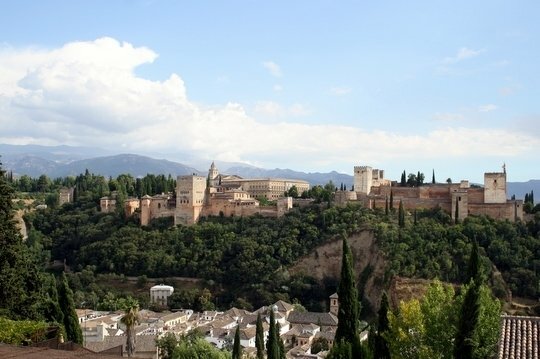 Pingback: 5 Essential Tips for Visiting the Alhambra Palace in Granada - An Insider's Spain Travel Blog & Spain Food Blog!